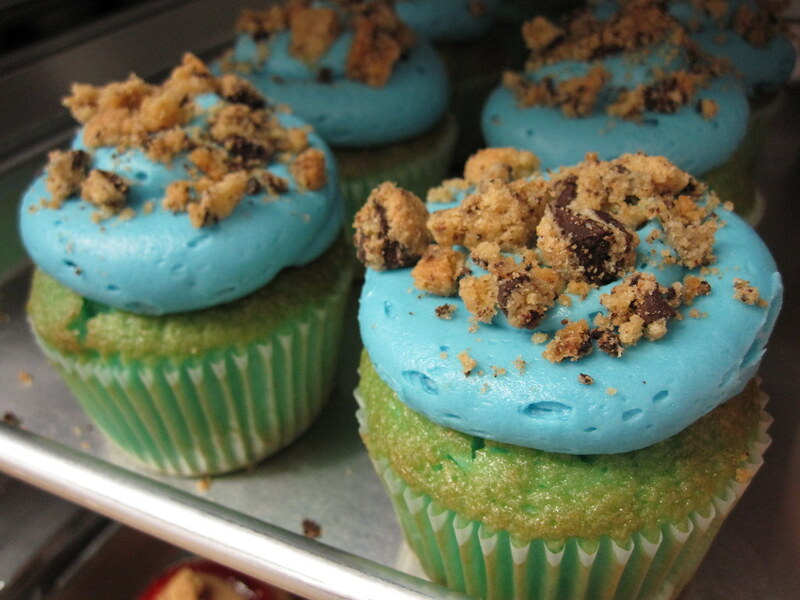 A friend just sent me an article about various cupcake bakeries in Westchester (New York), which I hope to explore soon. There were many I'd never heard of, which doesn't happen to me too often. Some are bakeries that are simply known for their cupcakes, and others are cupcakeries like Flour and Sun Bakery in Pleasantville, New York. I love their Flickr stream. 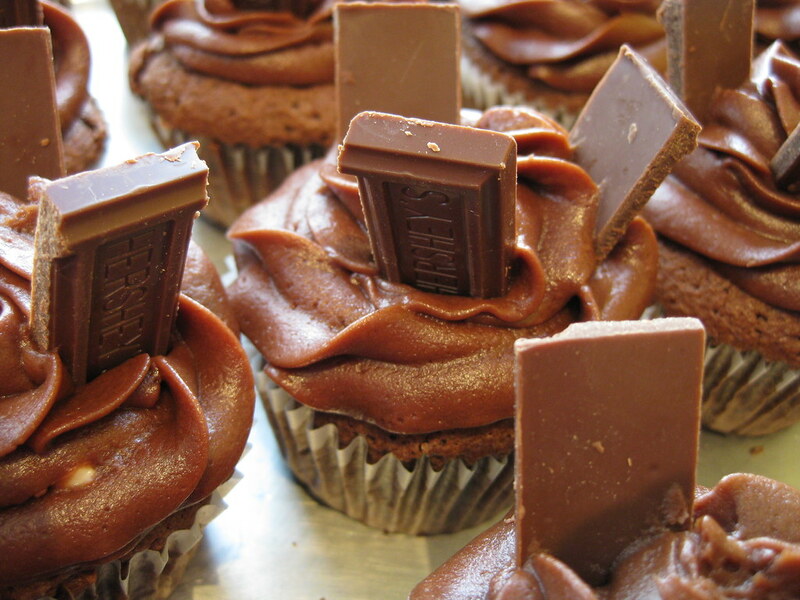 Last but not least, a true chocolate lover's cupcake - chocolate cake and frosting, with a mini Hershey's chocolate bar in it! 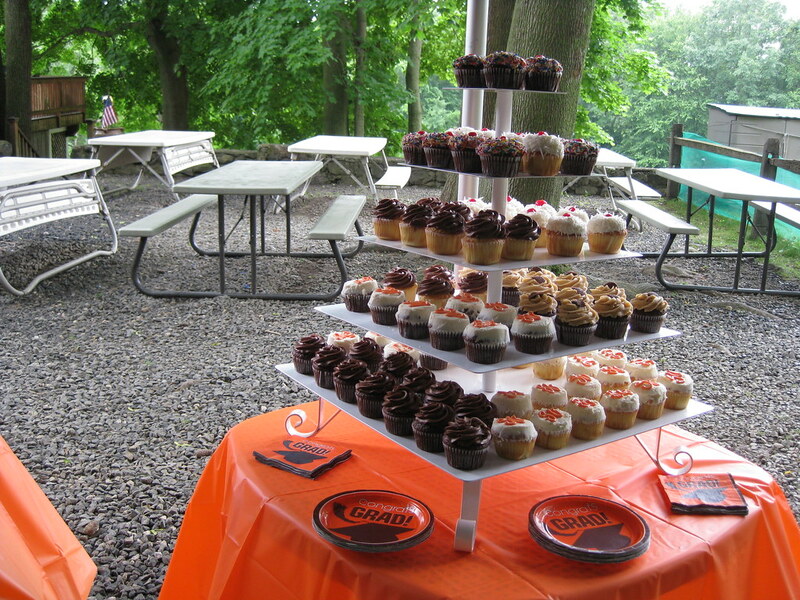 The doors of Westchester County’s first and only cupcake bakery opened in February 2009—incidentally, on Friday the 13th. Bad luck? Not when you’re serving some of the most luscious confectionary frosted heaven. There’s Fluffernutter, peanut butter and jelly, orange poppy seed, whopper, and hummingbird (pineapple, banana, and coconut). The most popular flavor? Vanilla vanilla. Purists stand proud! I clearly have to make a return visit soon (for those in NYC, it's a pretty easy Metro North ride there). What I especially like is that they keep it interesting, constantly introducing new flavors, rotating them daily, and posting the day's flavors on their blog, Twitter and Facebook, where they recently asked: "Do you prefer Red Velvet with Cream Cheese or Vanilla Buttercream frosting? Just wondering...." That's how to use social media! I love cupcake crowdsourcing. 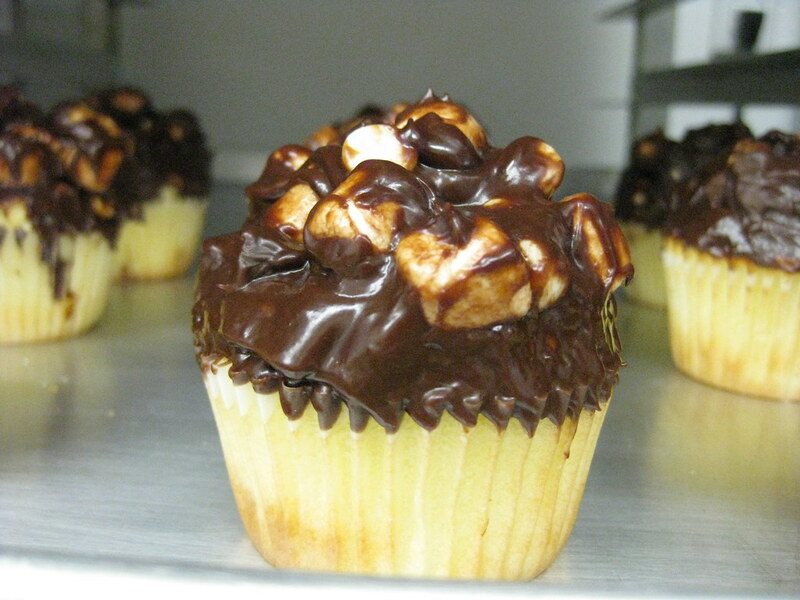 Visit the Flour & Sun Bakery site for daily flavors. 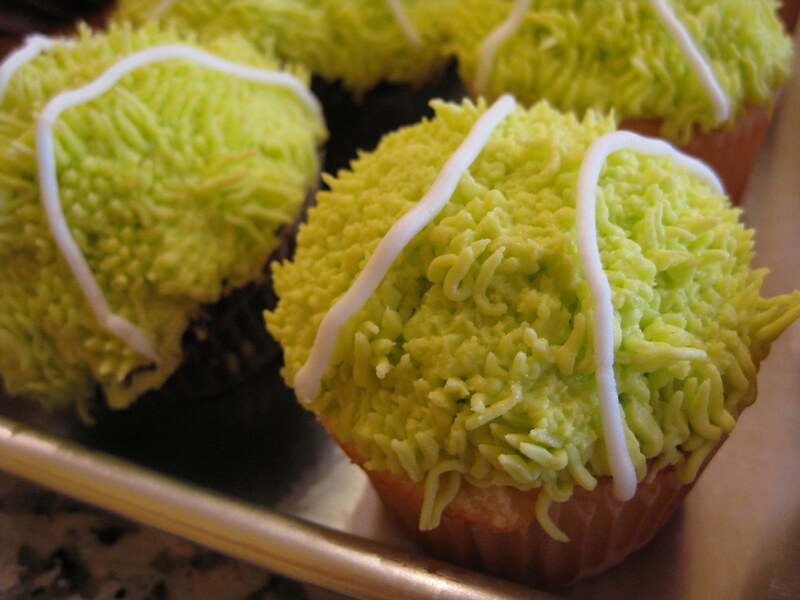 I love those tennis ball ones, they're so cute!! !